The Memory Care facilities on the third floor of Fleischman are lacking in several categories. They are constantly understaffed. Residents are left unattended in common rooms which is extremely unsafe for the residents with Alzheimer's disease and general dementia. My relative has fallen several times because no one was available to watch her. The only doctor on staff is a psychiatrist who prefers to medicate with sedatives. There is very little evidence of providing "activities designed to maximize each residents potential" as it says in the brochure. The residents are responsible for bringing their own incontinence supplies including disposable wipes and soap. There is no set schedule for bathing the residents. We've been very disappointed and would definitely NOT recommend this facility. At Fleischman Residence, facilities are clean and residents are provided with many organized activities. Some of which include musical performances, special interest activities, Wii games, movies, and organized outings by the facility. Furthermore, Jewish holidays are observed and celebrated with festivities, special meals, and music when appropriate. All meals (which I must say are quite good!) are kosher and residents can choose from a variety of rooms and apartments to live in. The atmosphere is welcoming and very friendly and open, with visitations and guests frequent from family members, school groups, volunteers, and others in the community. Because Fleischman is one of the oldest and most well-known assisted living homes of its kind in the Metro Detroit area, the Jewish community is heavily involved in the activities and programs that are organized here. Overall, Fleischman Residence is a wonderful assisted living for older Jewish adults and the staff really do make sure that each resident is happy and catered to. Every time I've visited over the past 14 years, the residents that I have encountered all seemed very happy and content with the "Jewish Home", as it was formerly called. And the caretakers and others who work and volunteer here really do an excellent job with what they do...you won't be disappointed! I wouldn't hesitate to recommend this assisted living to an older relative or friend, it's a wonderful place! My mother was recently resident at this facility. The care provided was sub-standard and neglectful. The RCA support staff did only the minimum that wsa required. The administrative staff is not be trusted. My mother deveoped stage 2 bed sores and had to be removed from this facility. Beware! I am a friend of a resident of Fleishman Residence Assisted Living facility. In general, I thought, that the facility was an excellent choice for someone that is looking for a placement for a friend or family member. Fleishman Residence Assisted Living facility is a small unique very private facility with a touch of class and elegance in the hills of West Bloomfield, Michigan. The grounds of the facility are up in the hills but with a unique, beautiful, elegant look of class very well structured and very well maintained. The common areas of the Fleishman Residence Assisted living is elegant and also has a touch of class and style. The surrounding neighborhood is also beautiful, unique and elegant looking also with a touch of class to the décor surrounding the facility and neighborhood. The residents' rooms are elegant with elegant décor all matching with elegant cherry wood furniture in all the residents' rooms and the facility. This small private 2 story facility is truly an assisted living of great style and class with its unique elegance of enhancement. The facility has no smell and the fresh country air up in the hills sends off a fresh country air scent. And they residents there are all so very happy, elegant and formal looking and that does compliment the facility even more. The staff and management of the facility are very professional and team, task oriented in their job duties and performance. I think the residents receive excellent care there. The residents there are treated with great dignity and respect and are also treated like family from the staff and management there. While I was there, I noticed that the residents' dining room was very formal and elegant and I also noticed the residents' recreational and activity rooms were also elegant and showed a touch of elegance style and class. Fleishman Residence assisted living facility would be an excellent choice for anyone, everyone and for any senior that would like to live in a very beautiful, elegant, classy, environment that is private and like their freedom and free private life style. I would recommend this facility to someone who would like to live in a place they would actually want to call home because it is a home away from home. It is like a dream vacation and I would be the first to give this facility a five star rating for its expertise in an elegant setting life style and for its excellence in patient care. Overall, Fleishman Residence Assisted living facility is an excellent place to live for someone who is looking for a placement for a friend or family member that likes elegance and privacy. I would recommend it to everyone, anyone that is 50 and over because I know they would like it there and I know that they would do well there. 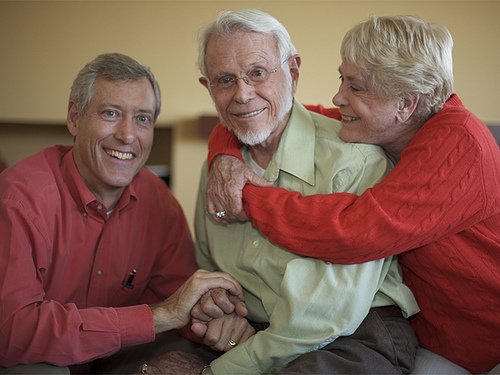 Fleischman Residence offers both independent living and assisted living, along with memory care. It's part of the larger Jewish Family Services campus that includes an adult day center and a skilled nursing facility. It's predominantly Jewish (immigrants from Russia, Nazi survivors, an eclectic community) but not exclusively so. I've been there a few dozen times, and I have a client there now. The staff is great: responsive, nice, well trained--and well qualified for memory care. And the facility is well maintained. It's an older building, but it's in really good shape. The rooms are small, though--just a room with a separate bathroom. Fleischman Residence is right across the street from the hospital in West Bloomfield, about 25-30 miles from downtown Detroit. They offer a full kosher kitchen, and the food is good. Activities are also good and include everything from a speaker series and religious services to music groups. The only downside is that there's usually a waiting list to get in. Jewish Senior Life was very well staffed and very nice. The only thing I didn't like about it was they gave one meal a day, which was dinner. They had a nice classroom and a nice gym. The rooms were nice, and everybody had their own little patio. Jewish Senior Life was beautiful. We liked it and the location a lot. The staff was very nice and helpful. Their meals were Kosher. Diet Extra: 3 Meals A Day, Plus Snacks. Fleischman Residence / Blumberg Plaza is a senior living provider in West Bloomfield, Michigan that offers residents Assisted Living and Independent Living. Contact Fleischman Residence / Blumberg Plaza for more details on services and rates. What should caregivers and potential residents know about Fleischman Residence / Blumberg Plaza?